Spring is definitely in the air, and so is that desire to be outside. Mix that with all of the construction that's going on, and you have a recipe for traffic. Ram Balachandran looks at his computer readout and tells you where grid-lock might occur between today and April 20, 2019. Spring is definitely in the air, even the smell of cut grass. Traffic Engineer Ram Balachandran warns motorists where to avoid road challenges today through April 13th. This is the most beautiful time of the year. Trees in colorful full bloom, flowers and work crews catching up. Traffic Engineer Ram Balachandran warns motorists of areas to avoid while traveling around the 'Boro now through April 6, 2019. Spring is definitely here, sunny days and cool nights--plus lots of daffodils, budding trees and pollen! Traffic Engineer Ram Balachandran warns of areas to avoid during this sneezing time of the year now through March 30th. A rollercoaster from winter to spring, and this creates traffic challenges around area construction sites. Traffic Engineer Ram Balachandran warns motorists of areas to avoid between today and March 23rd. As we inch closer to springtime, Traffic Engineer Ram Balachandran warns Murfreesboro motorists of potential problem areas today through March 16, 2019. Newcomers to the area are amazed at the variety of weather, but when you're walking the winter-spring line--it's not unusual to enjoy all 4 seasons in a one-week time span. Traffic Engineer Ram Balachandran warns 'Boro motorists of potential trouble spots now through February 23, 2019. Tennessee allows you to celebrate all 4 seasons in one week. Traffic Engineer Ram Balachandran helps Murfreesboro motorists avoid the ever changing trouble spots created by those changing conditions. Here is Ram's report for today through February 16th. Traffic Engineer Ram Balachandran is always looking out for Murfreesboro motorists. Here are Ram's areas that might have congestion issues today through February 9, 2019. "Some days are warmer, some days are cold", that's Tennessee weather for you. Murfreesboro Traffic Engineer Ram Balachandran says construction projects ebb and flow with the mercury. Here are potential problem spots today through February 2, 2019. Winter weather and traffic around construction sites could become a challenge. Traffic Engineer Ram Balachandran warns Murfreesboro motorists of possible problem areas for today through January 26, 2019. Remember the old song, "First you say you do and then you don't." Traffic Engineer Ram Balachandran equates that to Tennessee weather, and that impacts construction and traffic jams. Here's how it looks today through January 19th. Back on regular construction schedule, and Murfreesboro Traffic Engineer Ram Balachandran warns where to expect issues now through January 12th for local motorists. We're in the final stretch before Christmas, when there will be a major slow-down in road projects. Traffic Engineer Ram Balachandran warns Murfreesboro motorists that crews will be working to stay on schedule and that may cause traffic challenges today through December 22nd. A wintry blast, mixed with sleigh bells--often creates traffic challenges. Murfreesboro Traffic Engineer Ram Balachandran warns where you might like to avoid between today and December 15, 2018. Ram's Holiday Adventures "Road Report"
Everyone's rushing during the holiday season. Some are shopping and others are trying to finish a project on time. Murfreesboro Traffic Engineer notes the two don't always mix well together. Here are Ram's areas to avoid today through December 8th. Ram's Boro Road Forecast Through November 24th! If you don't like the weather one day, wait until tomorrow. Traffic Engineer Ram Balachandran warns 'Boro motorists of areas to avoid. Wet and cool, that's a sure sign of changing seasons. Traffic Engineer Ram Balachandran warns of another sign, traffic jams at construction sites as crews rush to beat winter woes. Ram's Traffic Report: Where To Avoid! Ths time of the year bring wet and cool weather, which is a wake-up call to construction crews to do double-time and finish the job before winter sets-in. Traffic Engineer Ram Balachandran warns motorists of areas to avoid in Murfreesboro now through October 27, 2018. The cold front from Hurricane Michael dropped the mercury and temps fell to the daytime 50s. Construction crews are on alert to make-up lost time before it gets colder. Traffic Engineer Ram Balachandran warns 'Boro motorists of areas to avoid between today and October 20th. The feeling of fall is definitely in the air, and as you breathe-in the freshness--you also note cold weather is around the corner. Traffic Director Ram Balachandran says construction crews are focusing on meeting deadlines before winter. Traffic jams around construction is a potential problem. Here are Ram's warnings now through October 6, 2018. Now that fall has officially arrived, Traffic Engineer Ram Balachandran warns that construction crews are rushing to complete jobs before cold weather sets-in. Here are potential road jam areas to avoid now through September 29th. We're starting to smell fall, especially in the mornings. Traffic Engineer Ram Balachandran notes the ushers-in construction crews working to meet deadlines, and traffic jams around those sites. Here are areas to avoid in the 'Boro today through September 22. It's just a tad cooler these days, and that confirms the seasons are changing. Murfreesboro Traffic Engineer Ram Balachandran notes that's a signal for crews to ramp-up their work in order to finish before cold weather hits. Here are his areas to avoid today through September 15th. Murfreesboro Traffic Engineer Ram Balachandran encourages motorists to drive carefully during this Labor Day weekend, and to be prepared to stop for stalled traffic in front of you. Ram's Advice To 'Boro Motorists! A few milder days here and there, lets us know we're approaching the ending of summer. Traffic Engineer Ram Balachandran also warns motorists that it indicates construction crews are speeding-up to finish their projects. That sometime creates traffic jams. Here are areas to avoid in the 'Boro now through August 25th. Prime construction weather keeps the pedal to the medal for crews. City Traffic Engineer Ram Balachandran checks active projects and warns motorists of areas to avoid in the 'Boro today through August 18th. Get Ready, Here Are Ram's Road Reports! We're starting to feel the "hint" of a change of season, and that warns construction crews to "speed up". Murfreesboro Traffic Engineer Ram Balachandran notes that this also can create "traffic challenges". Here are Ram's grid warnings for today through August 11th. Ram Says "Watch Where You Are Driving"
Tis the season to be constructing, and that also creates traffic jams. Traffic Engineer Ram Balachandran warns where to avoid in the 'Boro now through August 4th. It's the time of the year when crews ramp-up work on construction projects, and Traffic Engineer Ram Balachandran warns motorists of areas to avoid traffic jams now through July 28th. 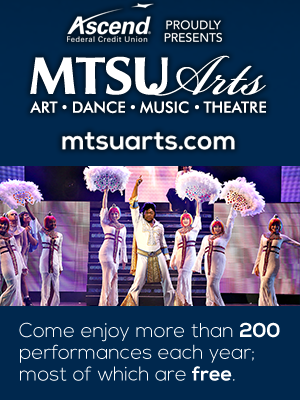 Ram's "Hot Road Congestion Forecast"
Join us in a sing-along of "Hot, Hot, Hot", while Traffic Director Ram Balachandran warns Murfreesboro motorists of potential traffic congestion areas for today through July 14. Summertime and the construction crews are busy, so hush little baby and learn where NOT to go. Here's Traffic Engineer Ram Balachandran's report on places to avoid from today through June 30th. Sizzling sunny days are allowing construction crews to focus on their jobs. Traffic Engineer Ram Balachandran warns that creates congestion for motorists. Here are his areas to avoid today through June 23. Warm weather and outdoor work season. Traffic Engineer Ram Balachandran says construction projects are at a peak and warns of places to avoid while driving now through June 16th. This is the peak season for construction. Murfreesboro Traffic Engineer Ram Balachandran warns motorists of areas to avoid today through June 9, 2018. City Traffic Engineer Ram Balachandran notes that traffic will be light during the Memorial Day weekend, but be aware of construction areas to avoid after that period where heavy congestion will be likely. Here's Ram's report for today through June 2, 2018. Murfreesboro Traffic Engineer Ram Balachandran studies site plans and warns motorists of potential trouble zones for traffic now through May 26, 2018.. When Ram Balachandran checked his construction reports, it appeared that everyone had a case of spring fever from today through May 19th. Murfreesboro Traffic Engineer Ram Balachandran warns that spring temps and gentle breezes will create enthusiastic construction crews who will create traffic challenges. Ram Says "Avoid This Area"
Spring is in the air, and construction crews are running at full speed. That might create issues for motorists, and Traffic Engineer Ram Balachandran warns of areas to avoid in Murfreesboro today through May 5th. This is the time of year that construction crews blossom with full energy, which also creates challenges for passing motorists. Traffic Engineer Ram Balachandran warns 'Boro motorists of areas to avoid today through April 14th. Spring is in the air, birds are chirping and construction crews will be running full speed. Traffic Engineer Ram Balachandran warns motorists of potential hot spots from now through April 7, 2018. Spring's magic is about to be in full bloom, and Traffic Engineer Ram Balachandran notes that construction projects will bring challenges to 'Boro motorists. He gives specifics on areas to avoid between now and March 31. Ram's Adventures of "As The Projects Turn"
With some of the major construction projects nearing an end, traffic patterns are expected to shift as new construction begins. Traffic Engineer Ram Balachandran releases his "challenge areas" for today through March 17th. Some Days Are Spring, Others Are Winter--Ram's Road Forecast! One day it's spring and the next is winter. Traffic Engineer Ram Balachandran notes these are ingredients for construction traffic challenges! He warns 'Boro motorists areas to avoid today through March 10th. We seem to be in more of a weather-mix for this seasonal change than previous years. This is also creating potholes, and when combined with construction projects--'Boro motorists are challenged. Traffic Engineer Ram Balachandran warns where to avoid today through February 24, 2018. 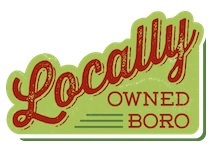 The first quarter meeting of LOCALLY OWNED MURFREESBORO is set for 8:00 o'clock next Thursday morning and features City Traffic Director Ram Balachandran to show how the 2040 Major Thoroughfare Plan will help the flow of traffic. Rain and construction create a mess, and Traffic Engineer Ram Balachandran warns Murfreesboro motorists areas to avoid today through February 17, 2018. Murfreesboro Traffic Engineer Ram Balachandran looks at the construction work charts and tells what areas you should avoid today through February 10th. 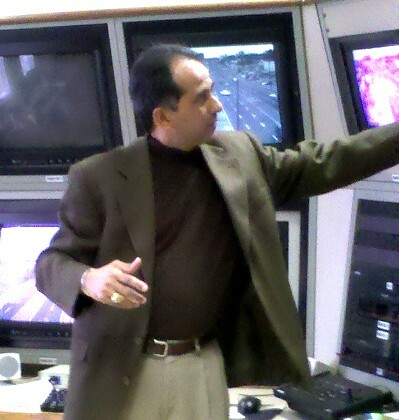 Traffic Engineer Ram Balachandran warns Murfreesboro motorists of potential trouble spots now through February 3rd. We're moving through winter, and construction crews are facing challenges. Traffic Engineer Ram Balachandran warns 'Boro motorists where to avoid potential gridlock conditions today through January 27th. The new week brings more normal temperatures, and that will allow construction crews an opportunity to get their projects back on schedule. Traffic Engineer Ram Balachandran warns motorists where to avoid now through January 13th. Murfreesboro Traffic Engineer Ram Balachandran looks ahead into the New Year. Cold weather is creating challenges at construction sites now through January 6, 2018, and motorists should avoid certain areas. Down on the street corner there arose such a clatter, and Ram Balachandran told you what's the matter. Throughout the year, this traffic engineer gives warnings of traffic jams before they appear. Here's Ram's wisdom through December 30th. Ram's "Reindeer Traffic Areas To Avoid"
Murfreesboro Traffic Engineer Ram Balachandran warns motorists to watch out for reindeers, most notably in these areas through December 23rd. While getting ready for reindeer and sleighs, many Murfreesboro construction zones will offer traffic challenges today through December 16th. Here's Ram Balachandran's list of "areas of concern". Christmas decorations are around the area, lights adorn area homes and crews hustle to catch-up before winter sets in. Traffic Engineer Ram Balachandran warns motorists where to avoid between now and December 9th. It's Thanksgiving week, and Traffic Engineer Ram Balachandran warns there may be a few turkeys on the roads. Here are places to be watchful now through November 25th. Murfreesboro Traffic Engineer Ram Balachandran warns motorist of potential trouble spots to avoid today through October 28th. Construction crews are working to complete work before cold weather hits. Traffic Engineer Ram Balachandran warns motorists of potential trouble spots in the 'Boro for today through October 21st. Ram Knows, and Ram Tells! Murfreesboro Traffic Engineer Ram Balachandran surveys reports from construction crews and suggests areas motorist may wish to avoid today through October 14th. A taste of fall is gearing crews up to finish jobs before winter hits. Traffic Engineer Ram Balachandran warns of potential trouble spots today through October 7th. We are now officially in the fall season, and construction sites are putting the hammer to the metal in order to be on schedule before winter. Traffic Engineer Ram Balachandran warns of potential traffic jam areas to avoid between today and September 30th. Murfreesboro Traffic Engineer Ram Balachandran warns where to be alert today through September 23rd. Absolutely gorgeous fall temps mixed with periods of heavy rain makes a formula for "traffic challenges". 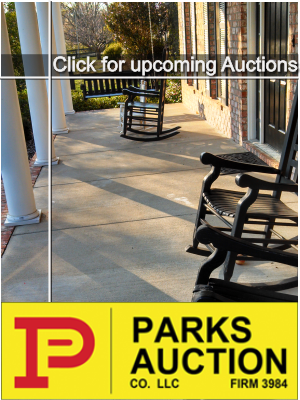 Here are Ram Balachandran's "warning spots" from now through September 16th in the 'Boro. Many construction projects in this area are nearing their deadlines, so crews are ramping-up the work. Traffic Engineer Ram Balachandran warns of potential traffic jams now through September 9th. Traffric Engineer Ram Balachandran warns that prime construction weather will be with us for a few more months, and so will traffic jams. His road warnings for today through August 26th are growing. 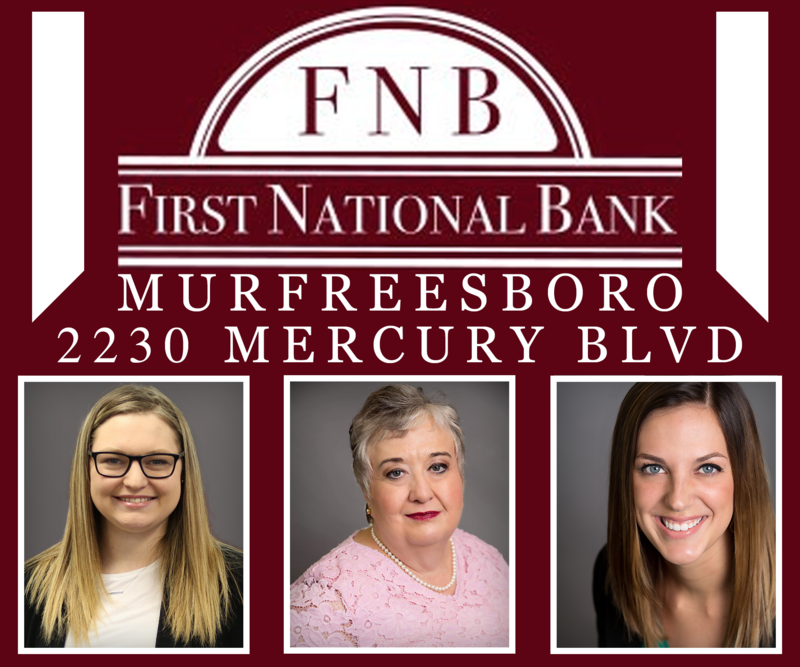 The tenth fastest growing city in the U.S.A. obviously has lots of construction, and that brings challenges for 'Boro motorists. Traffic Engineer Ram Balachandran warns of areas to avoid today through August 19th. Hot time, as summer in the city ramps-up construction projects and creates traffic jams. Traffic Engineer Ram Balachandran warms 'Boro motorists of places to avoid now through July 29th. 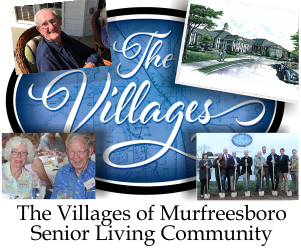 A challenging traffic week ahead and Traffic Engineer Ram Balachandran warns Murfreesboro motorists of areas to avoid today through July 22nd. Hot summer weather and construction, create traffic jams and frustrated motorists. Traffic Engineer Ram Balachandran tells about potential areas to avoid today through July 15th. Sizzlin' weather is back this week and Traffic Engineer Ram Balachandran warns Murfreesboro Motorists where to avoid hot tempers in traffic jams now through July 8th. It's construction season, and that means blocked traffic. Traffic Engineer Ram Balachandran tells about "hot spot" areas to avoid between today and June 24th. Spring is in the air and road projects are full throttle. Traffic Engineer Ram Balachandran checks the 'Boro Crystal Ball and shares where motorists should avoid between now and June 17th. Summer's back in the city, and Traffic Engineer Ram Balachandran warns motorists of potential "hot spots" now through June 10th. 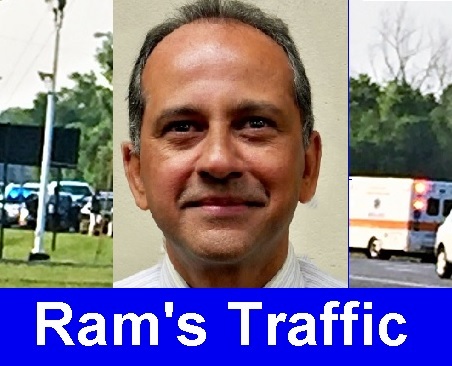 Rams Says "Fewer Traffic Jam Woes"
City Traffic Engineer Ram Balachandran fine-tunes his crystal ball and shows where to avoid traffic jams now through June 3rd. Ram's Road To Avoid Through May 20th! This is the season when the weather is close to perfect. That also allows construction projects to catch-up on lost time. Let's see--is this "Blackberry Winter", "Dogwood Winter"--whatever it is, Traffic Engineer Ram Balachandran says it impacts construction. Warm weather and many construction projects are in full swing. Traffic Engineer Ram Balachandran warns motorists of potential travel zones to avoid today through May 6th. Spring is in the air, and construction crews are roaring ahead. Traffic Engineer Ram Balachandran warns Murfreesboro motorists of areas to avoid between today and April 22nd. Traffic Engineer Ram Balachandran warns motorists of areas to avoid here in Murfreesboro between today and April 15th. As the pollen index climbs, so do motorist challenges brought-on by construction jobs. Traffic Engineer Ram Balachandran warns where to avoid in Murfreesboro today through April 8th. Spring is in the air again, and Traffic Engineer Ram Balachandran advises Murfreesboro motorists of areas they might wish to avoid. Hints of spring mixed with a wintry blast, all create excitement for the coming season. It also makes motorist challenges, Traffic Engineer Ram Balachandran warns where they might pop-up between today and March 4th. It's "LOVE WEEK"--also known as Valentine's, and Traffic Engineer Ram Balachandran warns that may not eliminate traffic snarls in construction areas. Here are Ram's areas to avoid today through February 18th. Ram's "How To Avoid Traffic Woes"
Winter's blast is putting constructions crews behind schedule, and this often creates traffic challenges. Traffic Engineer Ram Balachandran warns where to avoid today through February 11th. The weather is certain "up" and "down", and Traffic Engineer Ram Balachandran notes that some days there a motoring messes while others days traffic is at a minimal. Not taking into consideration the fluctuating meteorological conditions, here are Ram's procrastinations through February 4th. Murfreesboro Traffic Engineer Ram Balachandran has a way for you to "Stay Calm" while motoring around the 'Boro. Avoid these trouble spots through January 28th. It's super cold now, but as the week progresses temps will rise to normalcy. City Traffic Engineer Ram Balachandran says as the mercury rises, so will traffic jams at construction sites. Here's Ram's traffic challenge areas today through January 14th. Traffic Engineer Ram Bachandran warns that traffic challenges return Tuesday. Projects that were "on hold" over the holidays, ramp up again. Here's his forecast through January 7th. Ram's Traffic Challenges: Watch for Reindeer! You might just get your wish for a white Christmas, and Murfreesboro Traffic Director Ram Balachandran warns about areas that might present traffic challenges today through December 24th. The Yuletide season is here, and motorists are rushing from one part of Murfreesboro to another--while construction crews are trying to complete as much work as they can before weather gets even more wintry. Traffic Engineer Ram Balachandran is checking his list twice, and offers these areas to avoid now through December 10th. The crisp fall air is great for football, beautiful leaves and leaving window open, but it's a warning to construction crews that their prime work season is nearing an end. Murfreesboro Traffic Engineer Ram Balachandran warns of congested areas to avoid where crews are ramping-up to finish projects now through November 12th. Construction crews know this warm weather won't last forever, so they're using every second to get ahead on projects. Traffic Engineer Ram Balachandran warns of potential traffic challenges in the 'Boro now through November 5th. This great fall weather reminds construction crews that their seasonal clock for projects is ticking away. Traffic Engineer Ram Balachandran warn Murfreesboro motorists of areas to avoid today through October 22nd. Crisp fall mornings signal the beginning of construction crews trying to complete projects on time, and Traffic Engineer Ram Balachandran gives a heads-up on areas of town to avoid between today and October 15th. Murfreesboro Traffic Engineer Ram Balachandran warns motorists that crews are busy completing projects, and there are potential hot spots to avoid now through October 8th. Autumn arrives this coming Thursday, and that's a warning bell for those involved in construction projects. Murfreesboro Traffic Engineer Ram Balachandran warns where congestion might pop-up now through September 24th. You can smell and feel the changing season, and you can see the increased push by construction crews to finish projects. Murfreesboro Traffic Engineer Ram Balachandran warns road challenges to avoid now through September 17th. Labor Day is the end of summer, and the start of a construction rush to end projects before winter arrives. City Traffic Engineer Ram Balachandran warns where to avoid now through September 10th. In preparation for seasonal changes, construction crews are ramping-up work on projects in order to meet deadlines. City Engineer Ram Balachandran shows areas to avoid today through September 3rd. We've made the transition into a new school year, and we're starting to see an occasional hint of a seasonal change. Traffic Engineer Ram Balachandran notes that as the weather gets more pleasant, road work will increase slightly due to ease for workers. That could create more road challenges for motorists now through August 27th at some job sites. Ram Says "Trickle Speed In School & Construction Zones"
Monday (8/8/2016) is the first full day of school, and you're reminded to slow-down in school zones. Traffic Engineer Ram Balachandran warns of other places to drive at "trickle speed" today through August 13th as well. Storms and hot temps add to the frustration as construction projects create traffic challenges. City Engineer Ram Balachandran warns where to avoid potential trouble area in the 'Boro today through August 6th. Now that it's "hot, hot, hot", tempers are following the mercury when construction creates roadway grid-lock. City Traffic Engineer Ram Balachandran warns "hot spots" to avoid in the 'Boro now through July 30th. Ram Helps You Avoid Summertime Traffic Blues! It's summertime, summertime and the heat, humidity and traffic jams around construction sometimes frazzle motorists. Traffic Engineer Ram Balachandran eases nerves by warning what parts of the 'Boro to avoid between now and July 23rd. Heat index over a hundred, construction jams, create flaring tempers! Traffic Engineer Ram Balachandran to the rescue with a list of areas to avoid these challenges today through July 16th. Hot, hot summer days raise stress levels, and Traffic Engineer Ram Balachandran warns of 'Boro locations that might be potential traffic jam sites from today through July 2nd. Ram's "Hot, Hot, Hot" Traffic Spots Through June 25th! City Traffic Engineer Ram Balachandran warns that as the temps get hot, hot, hot--traffic challenges become more worrisome. Here are potential trouble areas in the 'Boro through June 25th. Hot time, summer in the city, and Traffic Engineer Ram Balachandran warns where motorists might find it's getting gritty through June 18th. Traffic Engineer Ram Balachandran warns that the "Bridge Over Troubled Broad" is not the only motorist melee in the 'Boro. Here are areas you might wish to avoid today through June 11th. The extended Memorial Day weekend won't bring traffic jams due to roadwork, but Tuesday will begins the season for much construction. Here's his forecast through June 4th. Ram Says "Traffic Jams Ahead"
Not too hot, just enough cool to make construction work more enjoyable. Traffic Engineer Ram Balachandran warns motorists that this ingredient is creating traffic jams in expansion zones. He warns 'Boro motorists of some areas to avoid from today through May 21st. 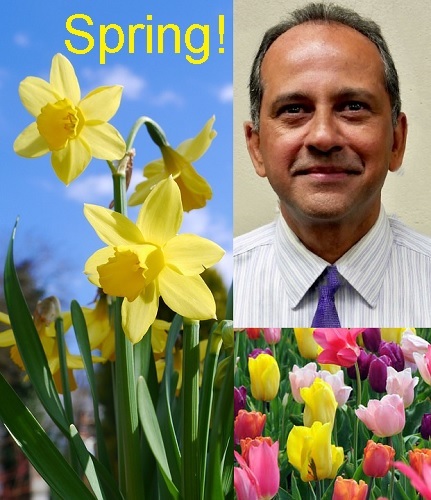 We're just a few days from the official arrival of Spring, and Traffic Engineer Ram Balachandran reminds us "Construction Is In The Air" and that brings those stimulating feelings of being caught in grid-lock traffic and smelling exhaust fumes--now, that's the smell of Spring. Spring is just around the corner, and construction projects are ready to roar. Traffic Engineer Ram Balachandran checks his computer for potential trouble spots today through March 5th. Of the weather outside is frightful, and the motorists are getting spiteful. Traffic Engineer Ram Balachandran checks his computer and comes-up with potential traffic trouble spots for today through February 13th. Ram Says, "Roll On Big 'Boro, Roll On!" Roll on big 'Boro, roll on--nope that's not a new song, it's City Traffic Engineer Ram Balachandran's motto through April 11th. Snow or no snow--construction projects move forward, but perhaps a little slower. Here are areas in the 'Boro to avoid now through February 21st, which Traffic Engineer Ram Balachandran feels might be ripe for "traffic challenges". 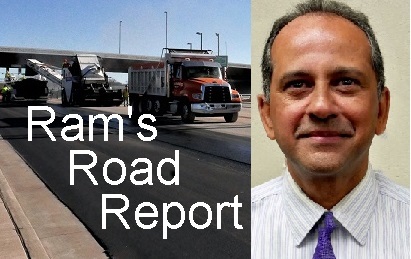 The smell of turkeys roasting and the bustle of shopping are in the air; City Traffic Engineer Ram Balachandran helps you avoid the stress of traffic jams with this road report for today through November 26th. It's the rush to finish road projects, and Traffic Engineer Ram Balahandran warns where motorists need to avoid between now and August 23rd. Road construction and improvements increase, while City Traffic Engineer Ram Balachandran warns of potential traffic jams today through May 17th. Cynco de Mayo ushers in a season of increased construction, and Murfreesboro Traffic Engineer Ram Balachandran warns of area to avoid through May 10th. Road projects are now in full swing, and traffic challenges are creating tension all around the 'Boro. City Traffic Engineer Ram Balachandran warns where to avoid between today and April 26. From the Bridge Over Troubled Broad to the orange barrels on Church Street, Traffic Engineer Ram Balachandran reports where to avoid now through April 12th. Are You Allergic To "Grid Lock" Traffic? Spring is in the air, and construction crews seem almost as plentiful as the blossoms on the Bradford pear. Traffic Engineer Ram Balachandran warns of potential traffic challenges that might occur today through April 5th. Tis The Season of Traffic Jams! Tis the season of traffic slow downs. City Traffic Engineer Ram Balachandran tells us where to avoid through March 22nd. Ram's Road Renderings through March 8th! Watch out motorists, here comes the jams! 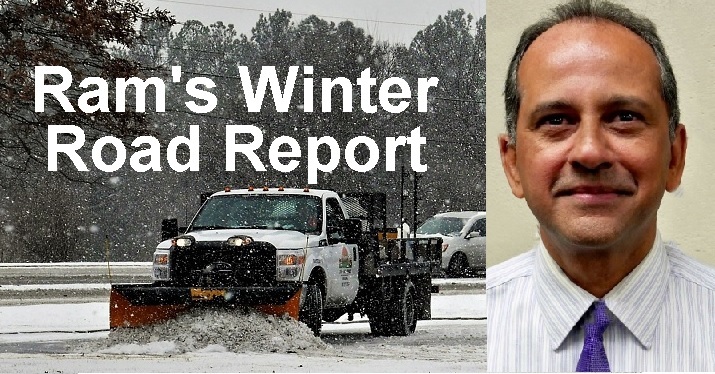 City Traffic Engineer Ram Balachandran forecasts trouble spots through March 8th. Here's Ram's road forecast for today through March 1st. Ram Says Spring Weather Brings Road Challenges! Spring temps allow construction crews to ramp-up work on projects. City Traffic Engineer Ram Balachandran warns the daffodil weather may usher in traffic jams. Here's his 'Boro report for today through February 22nd. Traffic Engineer Ram Balachandran has a perfect record on being the "soothsayer of road challenges" in Murfreesboro. February is here and spring can't be too far away. City Traffic Engineer Ram Balachandran notes better weather translates to more crews on the street. Here are potential "traffic challenges" today through February 8th. The arctic blast is making construction work uncomfortable, but Traffic Engineer Ram Balachandran warns progress continues. In fact, he reports on potential traffic challenges now through February 1st. 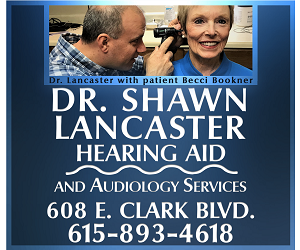 Ram's Road Reports Through January 18th! City Traffic Engineer Ram Balachandran warns of potential "challenge areas" for today through January 18th. What will be challenging your drives in the 'Boro? Traffic Engineer Ram Balachandran reports strictly on construction possibilities, and leaves the snow and ice soothsaying to someone else. Potential 'Boro Traffic Issues Through January 4th! Traffic wows ahead as City Traffic Engineer Ram Balachandran warns of potential challenges now through January 4th. "You'd Better Watch Out" for traffic jams through Dec. 21st. 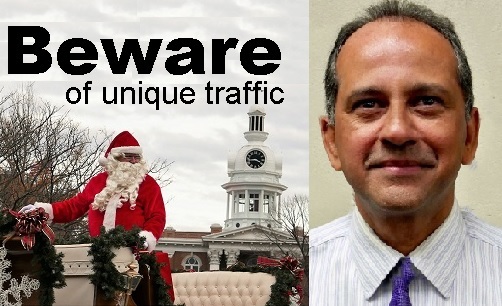 Tis the season to be watchful, and Traffic Engineer Ram Balachandran warns of locations where potential traffic challenges may exist in Murfreesboro now through December 21st. City Traffic Engineer Ram Balachandran warns where construction crews might create traffic challenges in an effort to complete their project before winter. This week's ROAD REPORT from Ram! City Traffic Engineer Ram Balachandran warns construction crews are gearing-up to finish projects before winter, and here a potential problem areas between today and November 9th. Cold Weather's Here...Ram's Road Forecast Through Nov. 2nd. City Traffic Engineer Ram Balachandran knows crews are feverishly trying to complete projects, and that often creates traffic jams. Here are Ram's areas of concern today through November 2nd. Ram's Potential "Unexpected Traffic Stops"
Traffic Engineer Ram Balachandran is monitoring the crews and gives info on where you might encounter some challenges today through October 28th. Fall is in the air, and construction crews are trying to finish their projects on time. City Traffic Engineer Ram Balachandran checks his work reports and warns motorist where potential jams could be now through October 12th. We're closer to fall, and that pushes crews to work harder and finish projects. It also creates a potential for more traffic jams around the sites. Murfreesboro Traffic Engineer Ram Balachandran gives a "heads-up" on areas to avoid through October 5th. Construction crews are back to work, and quickly attempting to finish projects. City Traffic Engineer Ram Balachandran has checked his files and warns where traffic issues might pop-up now through September 14th. It's the Labor Day weekend, and road projects are on hold. However, City Traffic Engineer Ram Balachandran warns that crews will be making-up lost time starting Tuesday. What's the "lampshade thing on a pole" that's attached to the traffic signal on Broad and West Main? Have you seen the unusual looking pole attached to the traffic light at the intersection of Broad and West Main? It looks like an old lampshade. What is it? Construction crews continue at a record pace to keep up with the needs of Tennessee's fastest growing city. Traffic Engineer Ram Balachandran warns motorists where challenges might be today through the end of August. There are already signs that a season change is nearing. Traffic Engineer Ram Balachandran warns that will may create driving challenges in Murfreesboro now through August 24th. Summer weather and construction crews are running full-tilt in an effort to complete their projects before colder temps hit. City Traffic Engineer Ram Balachandran warns of potential motorist challenges between today and August 17th. Here are Ram's potential areas of traffic jam concerns in the 'Boro today through August 10th. Summertime is already busy on the roadways. 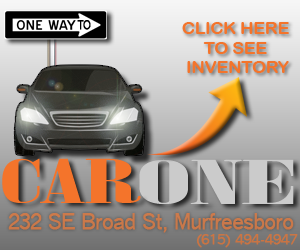 Where can you expect even more traffic around Murfreesboro?